There are two pools in the centre. The Main Swimming pool is 25 metres long, with 6 lanes and offers a range of swimming sessions including Swim for All, Aqua Natal, Aqua Tone, Adult Only and Ladies Only. 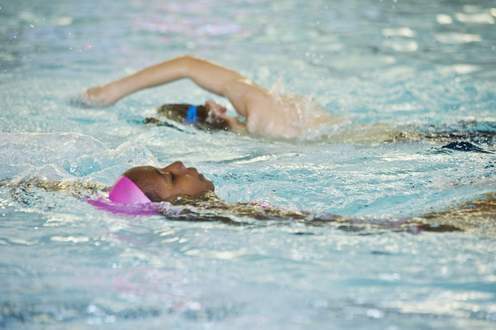 The teaching pool is ideal for family swimming. See the timetable for avaliabilty. 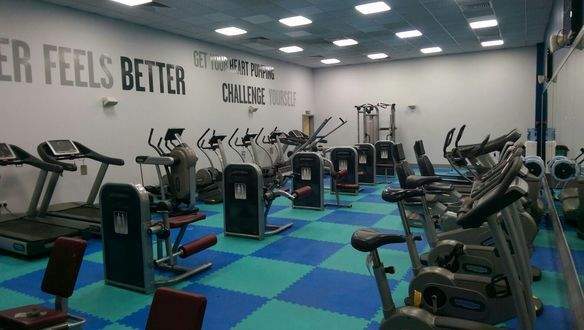 Our new fully equipped, air-conditioned gym offers a range of fitness equipment for everyone. 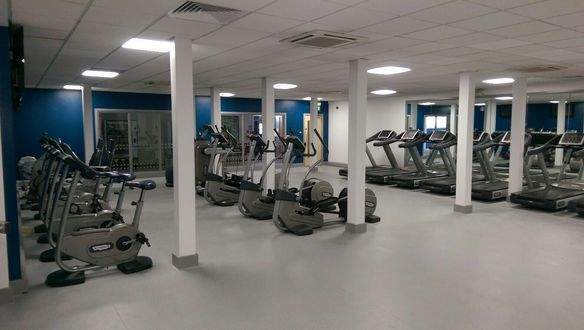 Our members can choose from cardiovascular machines such as treadmills and rowers, resistance equipment including a large free weights section and dedicated stretching area. If your new to the gym our friendly fully qualified staff will fully induct you on all the equipment. If you decide to take out a membership the instructors will also work with you to put a personnal programme together. This is a great way to help acheive your goals and targets. We also offer a fully equipped Ladies Only Gym. For more details go to the facilities section. The health suite consists of a sauna and steam room. These treatments can assist with increasing blood flow, weight loss, cleansing, relieving stress and helping to relax body and mind. Showers, changing rooms and lockers are all provided. We have Ladies Only, Men Only and Mixed sessions. If you’re looking to play squash or racketball, then join us at Abraham Moss Leisure Centre where we have two squash courts available for both adult and juniors. Come down with a friend and play, or if you are new to squash or racketball, join in our squash and racketball programme. The Sports Hall is a multi-sport area featuring five courts. The hall is suitable for activities such as Badminton, Basketball, Squash, 5-a-side football, Cricket and Racketball. The Sports Hall is also suitable for sporting and non-sporting events and activities including Karate competitions, birthday parties, indoor craft fairs. Our exclusive ladies only gym is open 7 days a week and provides a great environment to work out. We have fully qualified instructors avaliable. If your new to the gym the instructors can provide you with a full induction and will also write you a personnal programme. The programme is adapted around your own personnal goals. We now offer Ladies Only Group Exercise Classes.